Red Hen Press, 9781597092265, 272pp. Like a lot of Americans, Steve Almond spent the weeks after the 2016 election lying awake, in a state of dread and bewilderment. The problem wasn't just the election, but the fact that nobody could explain, in any sort of coherent way, why America had elected a cruel, corrupt, and incompetent man to the Presidency. 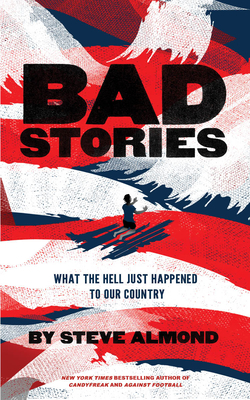 Bad Stories: What the Hell Just Happened to Our Country is Almond's effort to make sense of our historical moment, to connect certain dots that go unconnected amid the deluge of hot takes and think pieces. Almond looks to literary voices--from Melville to Orwell, from Bradbury to Baldwin--to help explain the roots of our moral erosion as a people.